Hajdúböszörmény is the capital of the "hajdús" (foot-soldiers in the 17th century) with colourful history. 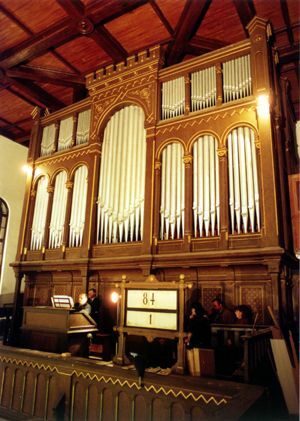 The town of 30,000 inhabitants in the north-east of Hungary awaits visitors with excellent thermal water and a wide variety of programmes. Undoubtedly, the most valuable relic of the town is its circular layout and radial structure. The oldest public building of the county, the seat of the hajdú district is an excellent monument, which houses the Hajdúság Museum today. In the main square you can see several important buildings which determine the image of the town. One of them is the Calvinist church with the size of a cathedral, the Grammar School and the Town Hall built at the beginning of the 20th century. 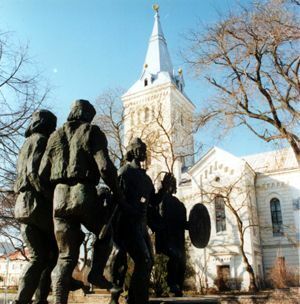 The square is decorated with the statue of István Bocskai and the composition called 'Dancing Hajdús', and it is surrounded by a well-kept park. 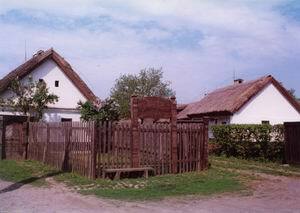 The relics of folk architecture are preserved in the regional museum. Apart from its colourful past, the town has rich present, too. In the town you can find a bath surrounded by a 2 ha park offering excellent recreation and relaxation. The Bocskai medicinal water is excellent for locomotor problems of the elderly, the sports swimming pool is offered for young visitors, and the children's pools await the youngest who would like to enjoy the excellent water, too. Near the bath you can find an indoor swimming pool, a medicinal centre and a thermal camping site. It awaits visitors all year round with interesting programmes such as the National Championship of Latin-American Dances (February), the International Big Band Festival (July), the International Arts Festival of Hajdúság (July), the Musical Note Festival (July), Motorcyclists' Festival (August), the Hajdú Week (August), the Tractor-dragging championship (August). 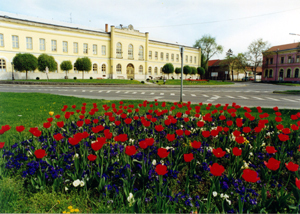 Come to Hajdúböszörmény, the city of the Hajdús to relax and to recover!